Unwanted used mattresses are a major problem for landfills, with an average of 300 mattresses added to a single landfill every day. They are incredibly bulky and difficult to compact like much of the other waste in landfills. Unlike so many other used items, used mattresses aren't practical to donate to charities because they are usually soiled and weighed down from years of collecting sweat and dead skin cells. 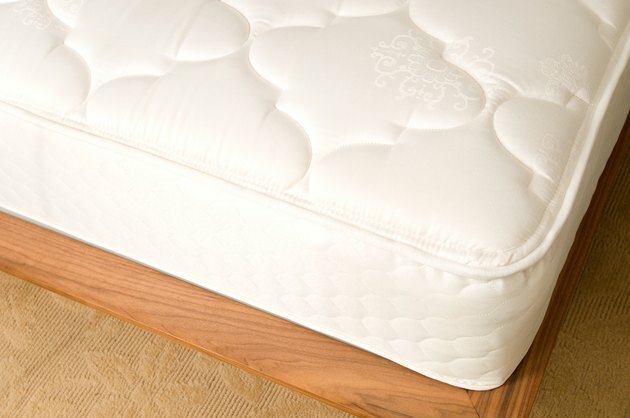 Innerspring mattresses contain materials such as foam, fabric, cotton batting and metal. Disassembling them takes patience, but the pieces can be reused or recycled into different products. Disassemble unwanted mattresses and use the components around the home and garden. Locate the connected ends of the piping on the top and bottom sides of the mattress. This is the strand of fabric that holds the top and bottom fabric to the fabric on the sides of the mattress. Break the thread at the connection point with a seam ripper or with your hands if possible. Pull the thread away from the piping to free the piping from the mattress fabric. This process varies in time, depending on if you wish to save the thread as a single strand. Roll the thread and the piping up and set aside to reuse or donate. The piping on your mattress might actually be braided fabric. Pop any buttons or tabs off the mattress fabric on both sides or cut them free with the seam ripper. Pull the fabric off the mattress. Wash it to reuse if desired. 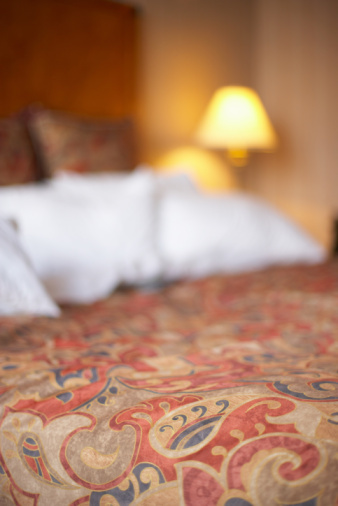 Pull the layer of padding from each side of the mattress if applicable; the padding may be foam, wool or cotton. Wash the foam to use for making cushions; add the wool or cotton to a lasagna garden or compost pile. Remove the coconut fiber or wood wool from the mattress; use coconut fiber in your home gardening as mulch. Pull up the layer of hessian cloth; wash and reuse it if desired. Pull out any staples that hold the frame together; boards are sometimes used to support the mattress. A pair of pliers works well to remove the staples. Pry any boards away from the frame, leaving the metal coil springs. Cut the metal springs into smaller pieces with wire cutters or reuse the entire piece if desired. Use the innersprings as a wine rack, trellis or garden fence.